Links to: CV (as of April 2018); Google Scholar; DBLP; arXiv; GitHub; Twitter. Feel free to send me comments anonymously here. 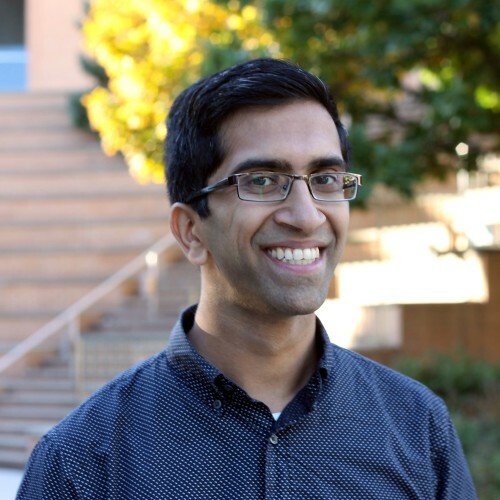 I am a Microsoft Research Fellow at the Simons Institute for the Theory of Computing for the Fall 2018 semester program on Foundations of Data Science and the Spring 2019 semester program on Data Privacy: Foundations and Applications. I will be joining the University of Waterloo's Cheriton School of Computer Science in July 2019. I'm mostly interested in principled tools for statistical data science, with a focus on settings which are common in settings of modern data analysis (high-dimensions, robustness, and privacy). I completed my Ph.D. at MIT, affiliated with the Theory of Computing group in CSAIL. I was very fortunate to be advised by Costis Daskalakis. I was hanging around UC Berkeley in Fall 2015, during the Simons Institute program on Economics and Computation. Before MIT, I spent four wonderful years at Cornell University, graduating in May 2012 with a degree in Computer Science and Electrical and Computer Engineering. At Cornell, I was incredibly lucky to have the opportunity to work with Bobby Kleinberg. I also spent Summer 2012 working as a Software Engineering Intern on the Platform team for Palantir Gotham, a platform developed by Palantir Technologies. I really enjoy giving talks and communicating my work! Please don't hesitate to ask if you'd like to hear about it. (4/21/19) One paper (Sever: A Robust Meta-Algorithm for Stochastic Optimization) accepted to ICML 2019. (4/18/19) One paper (Privately Learning High-Dimensional Distributions) accepted to COLT 2019. (4/8/19) Audra gave a talk about our paper on private hypothesis testing. (3/22/19) I will be on the program committee of TPDP 2019. (3/8/19) I gave a talk at the Simons Institute workshop on Data Privacy: Foundations and Applications. Video is available here. (2/21/19) I will be giving a talk at the Berkeley Theory Lunch on March 20, 2019. (2/10/19) I will be giving a talk at ITA 2019 on February 14, 2019. (2/8/19) One paper (The Structure of Optimal Private Tests for Simple Hypotheses) accepted to STOC 2019. (1/29/19) I gave a talk on private statistics from a TCS perspective, as part of the private statistics mini-course in the Data Privacy Boot Camp. Video is here, and the slides are here. (1/23/19) I am a maintainer of the CS Theory Blog Aggregator. (1/22/19) I will be giving a talk at MIT's Algorithms and Complexity Seminar on February 19, 2019. (1/21/19) I will be giving a talk at Berkeley's BLISS Seminar on February 25, 2019. (1/14/19) I will be on the PC of SODA 2020. (12/19/18) A Chasm Between Identity and Equivalence Testing with Conditional Queries published in Theory of Computing. All authorships are in alphabetical order, as is customary in theoretical computer science. Sever: A Robust Meta-Algorithm for Stochastic Optimization. Ilias Diakonikolas, Gautam Kamath, Daniel M. Kane, Jerry Li, Jacob Steinhardt, Alistair Stewart. Proceedings of the 36th International Conference on Machine Learning (ICML 2019). Presented at the NeurIPS 2018 Workshop on Security in Machine Learning (SECML 2018). Oral Presentation. Video of a talk by Jerry is available here. Gautam Kamath, Jerry Li, Vikrant Singhal, Jonathan Ullman. Proceedings of the 32nd Annual Conference on Learning Theory (COLT 2019). Presented at the 2018 Workshop on Theory and Practice of Differential Privacy (TPDP 2018). Video of a talk by Jon is available here. The Structure of Optimal Private Tests for Simple Hypotheses. Clément Canonne, Gautam Kamath, Audra McMillan, Adam Smith, Jonathan Ullman. Proceedings of the 51st ACM Symposium on Theory of Computing (STOC 2019). Video of a talk by Audra is available here. Anaconda: A Non-Adaptive Conditional Sampling Algorithm for Distribution Testing. Proceedings of the 30th Annual ACM-SIAM Symposium on Discrete Algorithms (SODA 2019). Slides from my talk at SODA available here. Featured in: Property Testing Review. Jayadev Acharya, Gautam Kamath, Ziteng Sun, Huanyu Zhang. In submission to the Journal of Privacy and Confidentiality (invited to the special issue for TPDP 2018). Proceedings of the 35th International Conference on Machine Learning (ICML 2018). Video of a talk by Huanyu is available here. Actively Avoiding Nonsense in Generative Models. Steve Hanneke, Adam Kalai, Gautam Kamath, Christos Tzamos. Proceedings of the 31st Annual Conference on Learning Theory (COLT 2018). Video of Adam's talk at COLT can be viewed here. Constantinos Daskalakis, Gautam Kamath, John Wright. Proceedings of the 29th Annual ACM-SIAM Symposium on Discrete Algorithms (SODA 2018). Constantinos Daskalakis, Nishanth Dikkala, Gautam Kamath. Revise and resubmit to IEEE Transactions on Information Theory. Robustly Learning a Gaussian: Getting Optimal Error, Efficiently. Ilias Diakonikolas, Gautam Kamath, Daniel M. Kane, Jerry Li, Ankur Moitra, Alistair Stewart. Advances in Neural Information Processing Systems 30 (NIPS 2017). A three-minute summary video for NIPS is available here. Our NIPS poster is viewable here. Bryan Cai, Constantinos Daskalakis, Gautam Kamath. Proceedings of the 34th International Conference on Machine Learning (ICML 2017). Presented at the ICML 2017 Workshop on Private and Secure Machine Learning 2017 (PSML 2017). Video of my talk at ICML can be viewed here. Being Robust (in High Dimensions) Can Be Practical. Video of Jerry's talk at ICML can be viewed here. Robust Estimators in High Dimensions without the Computational Intractability. Proceedings of the 57th Annual IEEE Symposium on Foundations of Computer Science (FOCS 2016). Invited to the SIAM Journal on Computing Special Issue for FOCS 2016. Invited to Highlights of Algorithms 2017. Video of Jerry's talk at FOCS can be viewed here. Video of Jerry's talk at TCS+ can be viewed here. Video of Ankur's talk at the Simons Institute can be viewed here. Constantinos Daskalakis, Anindya De, Gautam Kamath, Christos Tzamos. Proceedings of the 48th ACM Symposium on Theory of Computing (STOC 2016). Jayadev Acharya, Constantinos Daskalakis, Gautam Kamath. Advances in Neural Information Processing Systems 28 (NIPS 2015). Selected for a Spotlight Presentation (4.5% acceptance rate). Video of a talk by Costis at UT Austin can be viewed here. Video of the spotlight talk by Jayadev at NIPS can be viewed here (at 9:15). Featured in: MIT Theory of Computation Student Blog, Property Testing Review. An extremely condensed version of this paper appeared in Volume Four of Tiny Transactions on Computer Science (Tiny ToCS). Constantinos Daskalakis, Gautam Kamath, Christos Tzamos. Proceedings of the 56th Annual IEEE Symposium on Foundations of Computer Science (FOCS 2015). Video of the talk by Christos at FOCS can be viewed here. A Chasm Between Identity and Equivalence Testing with Conditional Queries. Jayadev Acharya, Clément Canonne, Gautam Kamath. Theory of Computing, 14(19), 2018. Proceedings of the 19th International Workshop on Randomization and Computation (RANDOM 2015). Slides from Clément's talk at RANDOM available here. Featured in: Oded Goldreich's Choices, Property Testing Review, Sublinear.info. Adaptive Estimation in Weighted Group Testing. Proceedings of the 2015 IEEE International Symposium on Information Theory (ISIT 2015). Proceedings of the 27th Annual Conference on Learning Theory (COLT 2014). Slides from the talk at COLT available here. Video of the talk can be viewed here. An Analysis of One-Dimensional Schelling Segregation. Christina Brandt, Nicole Immorlica, Gautam Kamath, Robert Kleinberg. Proceedings of the 44th ACM Symposium on Theory of Computing (STOC 2012). I was very lucky to be awarded the inaugural STOC Best Student Presentation Award by SIGACT for this talk. Slides from the talk at STOC available here, adapted from slides from a talk by Nicole at MSR. Video of the talk can be viewed here. Modern Challenges in Distribution Testing. On Learning and Covering Structured Distributions. Here are some videos of talks I've given. Privately Learning High-Dimensional Distributions. Presented at Data Privacy: From Foundations to Applications. Private Statistics: A TCS Perspective. Presented as part of the mini-course on private statistics at the Data Privacy Boot Camp. Realizing Robustness. Presented at the Robust and High-Dimensional Statistics Workshop. Modern Challenges in Distribution Testing. My PhD defense talk. Differentially Private Hypothesis Testing and Property Estimation. Presented at Mathematical Foundations of Data Privacy. Robustness in Unsupervised and Supervised Learning. Presented at Modern Challenges of Learning Theory. Testing with Alternative Distances. Presented at Frontiers of Distribution Testing workshop at FOCS 2017. Priv'IT: Private and Sample Efficient Identity Testing. Presented at ICML 2017. Faster and Sample Near-Optimal Algorithms for Proper Learning Mixtures of Gaussians. Presented at COLT 2014. An Analysis of One-Dimensional Schelling Segregation. Presented at STOC 2012. My co-authors include: Jayadev Acharya, Christina Brandt, Bryan Cai, Clément Canonne, Constantinos Daskalakis, Anindya De, Ilias Diakonikolas, Nishanth Dikkala, Steve Hanneke, Nicole Immorlica, Adam Kalai, Daniel M. Kane, Robert Kleinberg, Jerry Li, Ankur Moitra, Audra McMillan, Vikrant Singhal, Adam Smith, Jacob Steinhardt, Alistair Stewart, Ziteng Sun, Christos Tzamos, Jonathan Ullman, John Wright, Huanyu Zhang. For Advanced Algorithms (6.854), I wrote a survey of matroid secretary problem algorithms as a final project. Some bounds on the expectation of the maximum of samples from a Gaussian. I thought this was a fairly natural problem, but when I wrote it, I was unable to find anyone else who had computed the explicit lower bound here. I am a maintainer of the CS Theory Blog Aggregator, along with Arnab Bhattacharyya and Suresh Venkatasubramanian. I will be on the PC of TPDP 2019, SODA 2020. Clément Canonne and I organized a workshop on distribution testing at FOCS 2017. Clément Canonne and I organized a workshop on orthogonal polynomials at FOCS 2016. I'm an editor for the MIT Theory of Computation Student Blog and Property Testing Review. I'm one of the organizers of TCS+, an online seminar series in theoretical computer science, accessible to the widest possible audience, and ensuring a carbon-free dissemination of ideas across the globe. I organized the second Sublinear Day, which was on April 10, 2015 at MIT. I was the head organizer for the Second Annual Danny Lewin MIT Theory Student Retreat, which took place in October 2013. Aloni and Themis wrote a bit about this retreat here. From Fall 2012 to Fall 2013, I was in charge of the Theory Group lunch, which was the current incarnation of Great Ideas in Theoretical Computer Science at CSAIL. The website for the current offering is here. As a final project for a microcontrollers class, my partner Dominick Grochowina and I made an automated vocalist for the game Rock Band. This was featured on the website Hack A Day. Videos of the bot in action can be seen here and here. I worked on a project called Plannit, which won second place at Cornell Facebook Hackathon. Partners on this project were Jasdeep Hundal, Sohan Jain, and Harry Terkelsen. Here is a collection of collections of talk videos. TCS+: An series of online seminars in theoretical computer science. Simons Institute Videos: Videos from workshops hosted at the Simons Institute for the Theory of Computing. BIRS Videos: Videos from workshops hosted at the Banff International Research Station. Institute for Advanced Studies Videos: Videos from the IAS. Note that many are related to other fields besides computer science. Microsoft Research Talks: Talks at Microsoft Research, including a variety of topics beyond theory. Shannon Channel: A series of online seminars in information theory. Princeton TCS Videos: Videos from theory lunch and workshops within Princeton's theory group. Techtalks.tv: Talks from a number of conferences. You may have to search for the conferences of interest. Some may include FOCS and ICML. Videolectures.net: Lecture videos from a number of conferences and workshops, seems to be primarily focused on machine learning events. I used to go by the name "G", though I now prefer Gautam. Also, my name is not Guatam Kamath, though it is commonly misspelled as such.